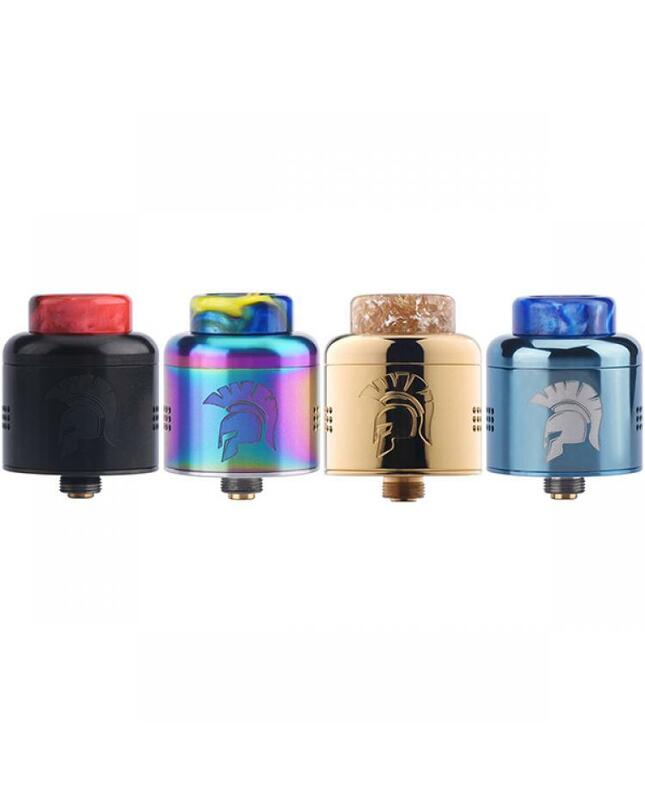 The Wotofo Warrior Dripping RDA Tank, made of high-quality stainless steel and resin material, 6 fashionable colors available. 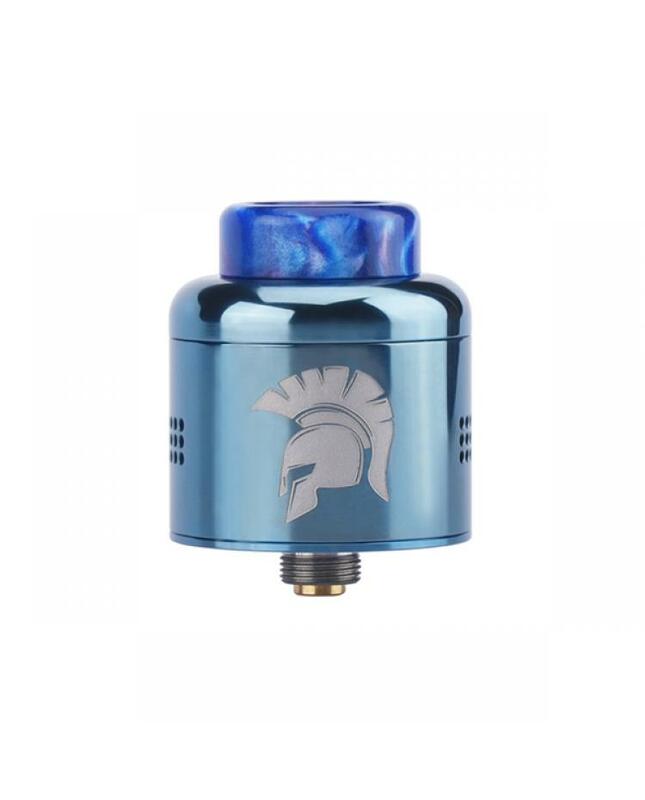 the wotofo RDA designed by JMT Elite, the diameter of warrior tank is 25mm, features a domed top cap which has a great deal of structural strength and functions to compress air as to enhance flavor. 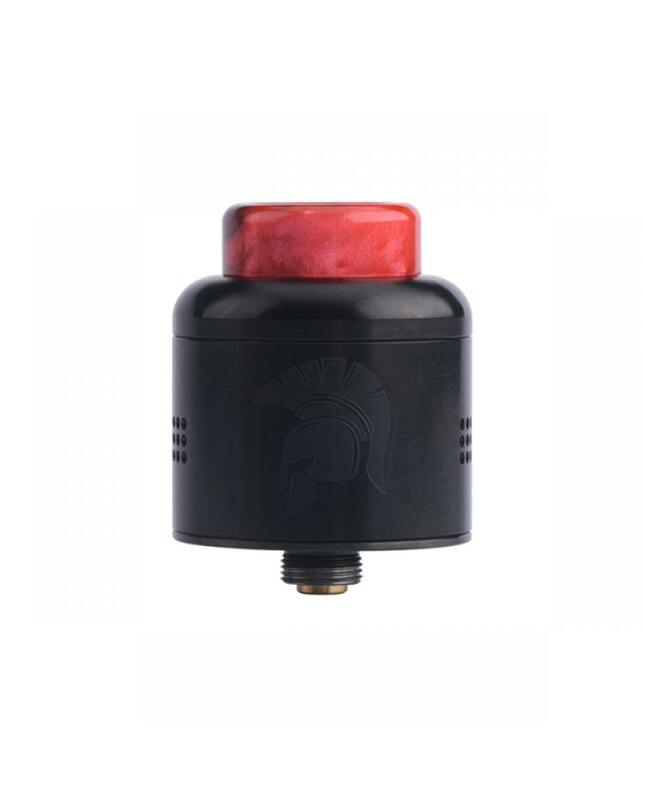 the top cap is removable with a sealing O-ring secured around, the removable top cap can serve as the airflow controller to adjust the air inflow. 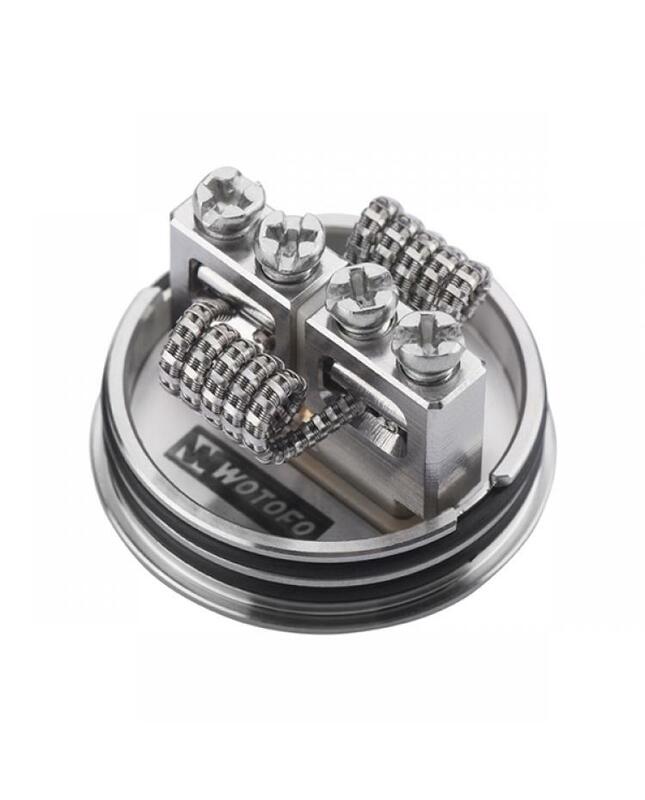 there are two sets of beehive style air holes(3 lines a set with 8 holes for each line)symmetrically positioned on two sides of the warrior RDA sleeve, the most air holes on the market, the wotofo warrior built-in clamp-style dual posts building deck with 4 screws on the top to fix the coils, the overall chamber is relatively short but the space is large enough for proper vaporization. 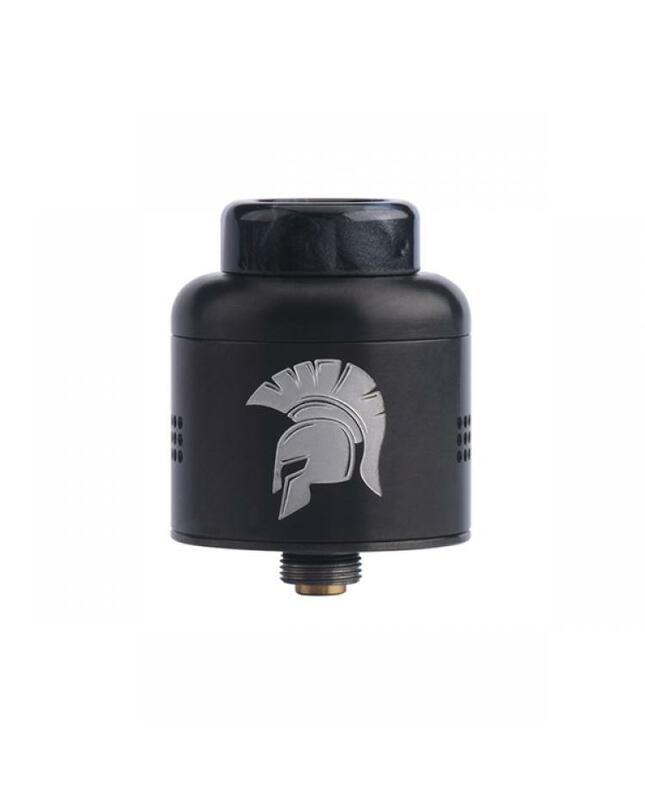 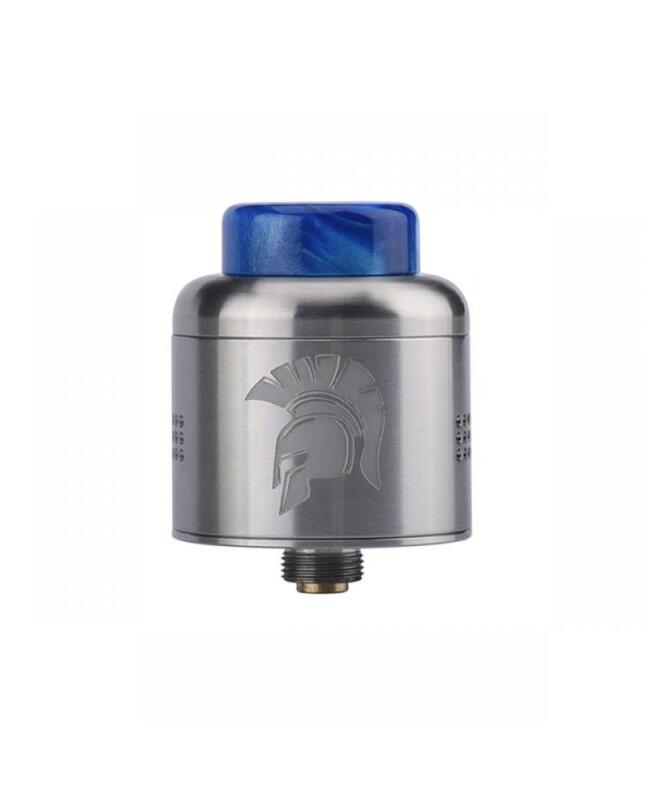 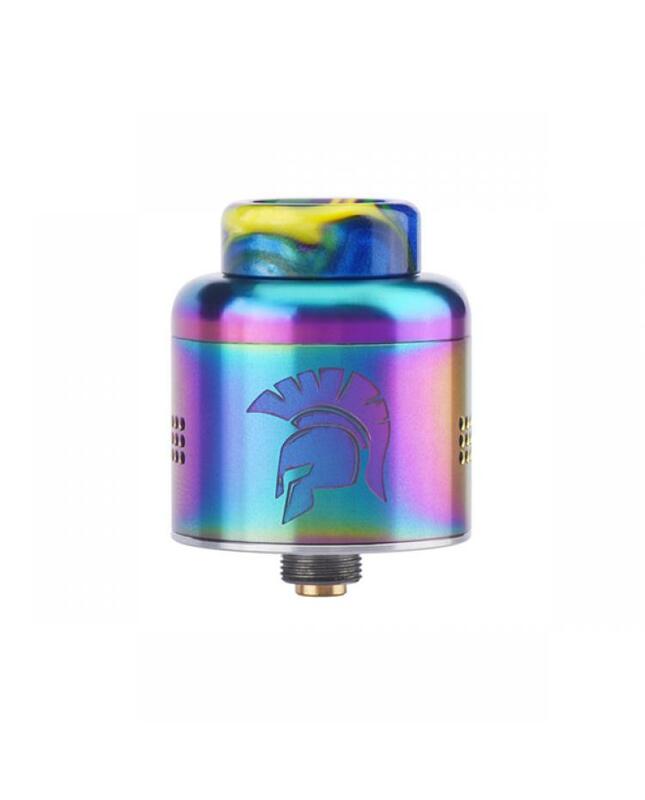 the warrior RDA integrates most human factors with its thoughtful design, the easy-detach mechanism for you to conveniently remove the RDA from your mod, stainless steel construction for fear-free dropping damage, deep juice well to give a longer vaping for every dripping or bottom feeding, the fully painted build deck for good appearance even inside. 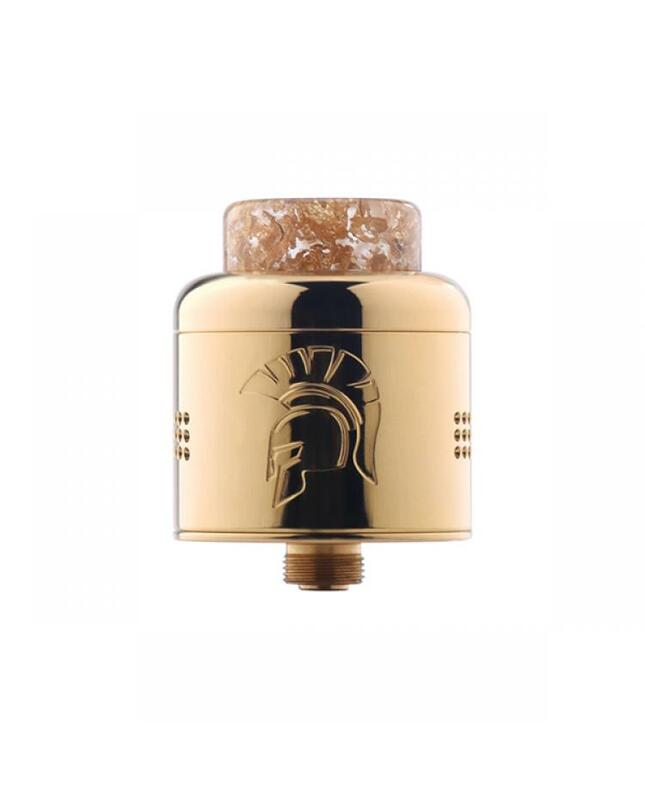 the warrior RDA with 24k gold-plated squonk pin, recommend works with squonk vape mods.